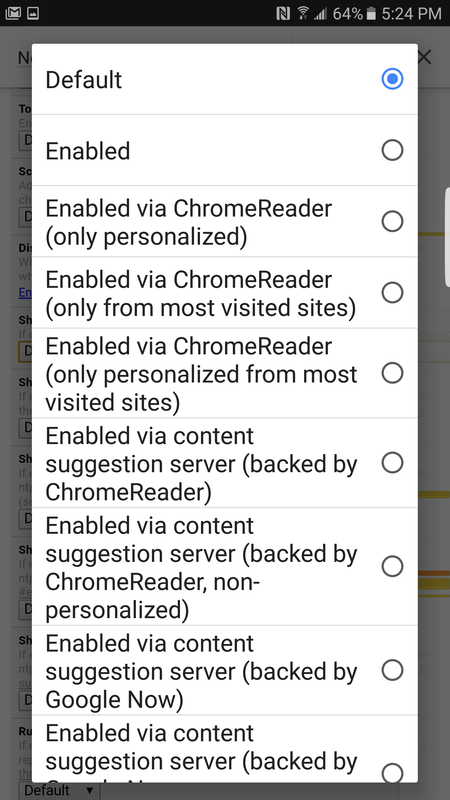 Google makes frequent changes to the New Tab Page in Chrome, and they show up first in Chrome Dev. It looks like Google is toying with a New Tab Page powered by Google Now, and you can take a look at it right now in Chrome Dev. You might need to toggle a flag, but it seems to be live for everyone. It also works a little bit in Chrome Beta, but not at all in stable. 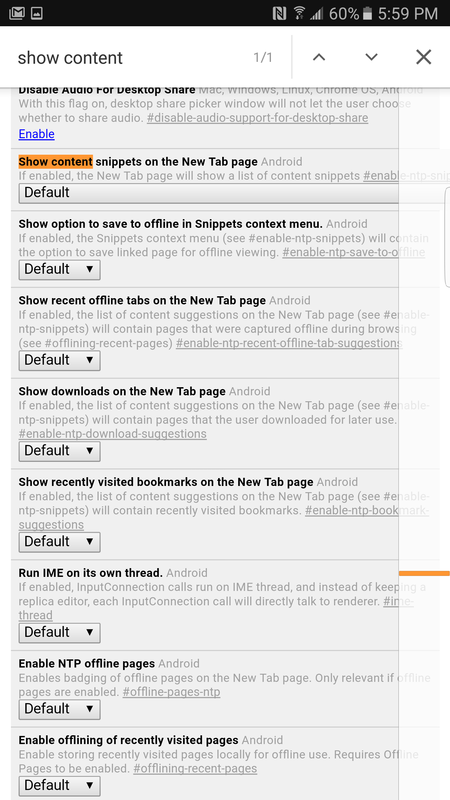 Some people will see the updated New Tab Page as the default in Chrome Dev, but others might have to toggle it on. The new page has a section when you scroll down with recent bookmarks, and below that suggested news stories. 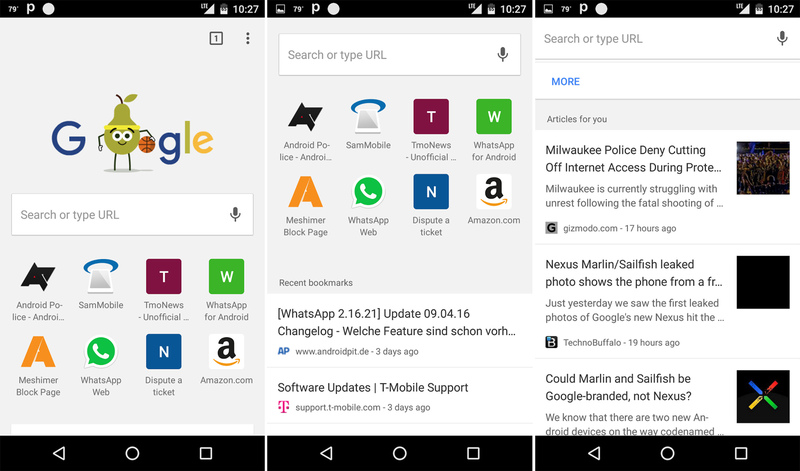 These are very similar to what you see in Google Now, and that's essentially what it is. Google is really putting Google Now cards in all the things these days. 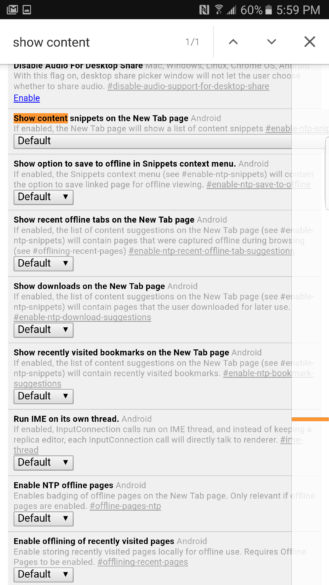 If you aren't seeing the updated page, the flag is "Show content snippets on the New Tab Page." We've seen this flag before, but this version of it is much more advanced. There are also alternate modes listed in the flag, including some that show content based only on most visited sites or using non-personalized data. The standard version should be backed by Google Now, though I'm not seeing a lot of variation in the different modes right now. This is still a dev feature, so there could be bugs (okay, there probably are). You can access this flag in Chrome Beta as well, but you won't get the bookmarks, and the source of the links isn't clear. The flag exists in Chrome stable, but it just breaks the New Tab Page. It'll be interesting to see if this design becomes the default in Chrome going forward.